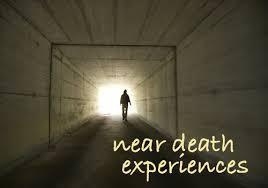 What Is Near Death Experience? 1 Who is more likely to experience a near death situation? 2 Are religious people more likely to have near death experiences? 3 Do near death experiences prove life after death exists? Near death experiences are frequently abbreviated as NDEs. These experiences are constantly reported around the world, affecting people of all types and backgrounds. Despite this, having a near death experience is still mystical for those who haven’t experienced them. This is particularly true of atheists as many near death experiences are linked to religion. Many people wonder what near death experiences are, what features they usually include, and whether they are real. “Near death experience” first entered common use in 1975 when Raymond Moody, MD wrote his book Life After Death. Following this, there has been a great deal of research looking at the aftereffects, contents, and circumstances of NDEs. NDEs are distinct and subjective experiences that people may report following an episode that is near-death. In these situations, the person will be near death, clinically dead, or simply part of a situation in which they expect death as a likely result. This can include a serious injury or illness like a suicide attempt, childbirth, military combat, or a car accident. Some people who weren’t near death have also reported near death experiences, including in deep meditation or profound grief or simply those doing their normal daily tasks. In fact, many people who have had these experiences report that they were not near-death; they say there were actually dead or in death. There are two main types of near death experiences a person can have. The majority of people have pleasurable NDEs, which include feelings of bliss, peace, joy, and/or leave. Others, however, have reported near death experiences hell which are distressing and include feelings of guilt, isolation, anger, horror, and/or terror. In either case, the experience seems more real than life on earth. While Dr. Mary Neal went kayaking in 1999, she was pinned beneath her capsized kayak for 15 to 25 minutes, during which time she couldn’t breathe. She says that this led to a near death experience that brought her to angels, Jesus, and God. Dr. Neal said that during her experience, God informed her that her family needed her to help them overcome an upcoming tragedy. She learned that her then nine-year-old son Willie would die, but didn’t know how or when. When Willie was 19, he died in a car accident by a driver on his cell phone in Maine. Mary feels that Jesus helped her while under the water, letting rescue workers revive her. When she woke up, she had lung complications and two broken legs and spend time in the hospital and a wheelchair. Bill Wiese describes his near death experience in his book titled 23 Minutes in Hell. At 3 am one day he was lying in bed when he suddenly was thrown into hell’s depths and tormented by demons. He says he was in a small cell filled with vicious reptilian beasts who had been assigned specifically to torment him. They would pierce his flesh using their claws and throw him against walls until pain was bad enough for him to wish death, which never came. He also heard millions of others crying while being tortured or burning in hell. He woke up 23 minutes later. Dr. George Rodonaia died on site in 1976 when a car hit him as he attempted to leave the URSS. He remained in the morgue for three days, not returning to life when a doctor made an abdominal incision. Before his near death experience, Dr. Rodonaia was a neuropathologist and an avowed atheist. Following the experience, however, he began to study spirituality and earned a second doctorate focusing on the psychology of religion. He also became an ordained Eastern Orthodox priest and was a pastor in Baytown, Texas at St. Paul United Methodist Church while holding an M.D. plus a Ph. D. in neuropathology as well as a Ph.D for psychology of religion. You can read Dr. Rodanaia’s experience, written in his own words, in the book The Journey Home by Phillip Berman. Reverend Don Piper from Pasadena was declared dead on scene in 1989 when an 18-wheeler hit and crushed the car he was in. He did not have a pulse for 90 minutes until a passerby started to pray as well as sing hymns over his body. At this point, he was revived despite his fatal injuries. He remembered hearing extraordinary music and smelling unusual aromas as well as seeing his grandfather and other deceased loved ones. He knew it wasn’t a dream as he hadn’t thought of some of the people there in decades. You can read his story in his book 90 Minutes in Heaven: A True Story of Death and Life. Who is more likely to experience a near death situation? The number of reported near death experiences has increased lately through medical advances that revive people as well as acceptance of telling their stories. In fact, 12 to 40 percent of those who are near-death experience NDEs. These experiences affect all people, regardless of background, culture, age, gender, education, religion (or lack thereof), income level, sexuality, mental health, and previous actions (whether they are “good” or “bad”). The only trait that increases the chance of having a NDE is “absorption,” being able to focus on one thing without distraction. Are religious people more likely to have near death experiences? Those who have NDEs are not necessarily religious; they may be atheists, very religious, or somewhere in between. Religion and near death experiences are more closely related in the time after the experience than that before it. Do near death experiences prove life after death exists? You can interpret it in this way, although there isn’t any proof or consensus on the meaning or possibility. Those who are cautiously descriptive say that near death experiences indicate that there may be some part of our consciousness after physical death, but it cannot be proven or disproven. Server responsed at: 04/22/2019 3:54 p.m.